UPDATED 12/9/12: The Santa Train has enjoyed additional news coverage. 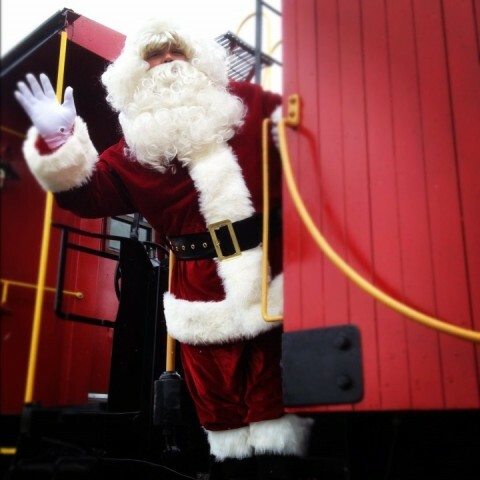 WANE-15’s coverage of the 2014 Santa Train underscores its long tradition in the community. A chance to have a chat with Santa Claus in a big, red caboose while chugging down the railroad tracks continues to be one of the hottest holiday season events around Fort Wayne. 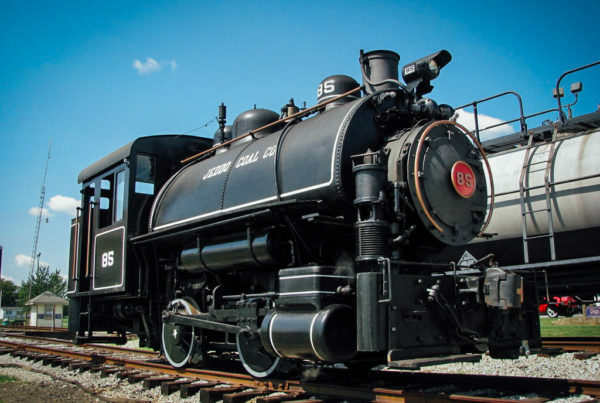 For 16 years, the Fort Wayne Railroad Historical Society has been arranging the short trips at its headquarters on Edgerton Road in New Haven, but the society has made it a little more convenient this year. In the past, people wanting to take the trips, which last from 20 minutes to half an hour and take place from 10 a.m. to 4 p.m. on the three Saturdays before Christmas, have ridden on a first-come, first-served basis. The result was sometimes incredibly long lines and long waits.This year, though, the public was able to make reservations online for specific times, dramatically shortening lines and waiting time. The public response was strong. In just 16 hours, the society sold out all the seats on all three Saturdays, said Kelly Lynch, a member of the society. The society did set aside about 20 tickets an hour to accommodate walk-ins without reservations. There were a handful of walk-ins who managed to grab spots in line and take the ride after a short wait. “We still get 3,000 people in the middle of a cornfield,” Lynch said of the spot where the rides take place.There is a proposal to relocate some of the society’s engines downtown. “These are 3,000 people that could be downtown,” Lynch said. If there’s one thing that the Santa Train has been known for – outside of being a local holiday favorite – it has to be the wait time. Last year, 3,000 passengers lined up on a first-come, first-served basis over three consecutive Saturdays. Kelly Lynch, communications director for the Fort Wayne Railroad Historical Society, says at its most severe, the wait was about three hours. Even at the New Haven warehouse where the locomotive is stored, and where the Santa Train takes off on a quarter-mile excursion, the organization has been able to draw attention to Headwaters Junction, Lynch’s proposal for the city’s Legacy Fund. 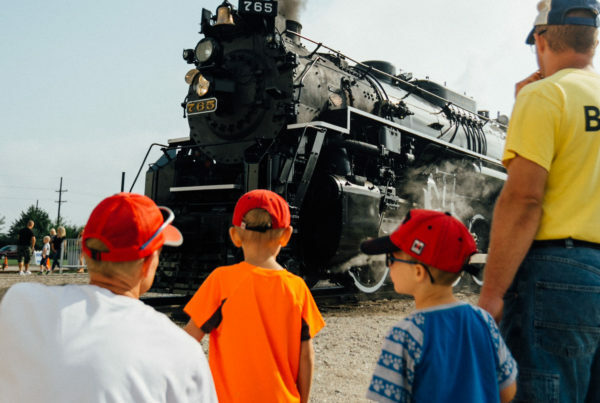 It would be a rail-themed attraction that could connect the city’s riverfront, trails and railways together with the historic steam locomotive as a key aspect. Lynch says the Headwaters Junction team is waiting for the riverfront master plan to be released in February before announcing anything major, but if the train is moved downtown, he says that one idea would be to push the concept of Santa Train into a larger experience as Fort Wayne’s own “Polar Express” steam locomotive rolling through downtown for the holidays. 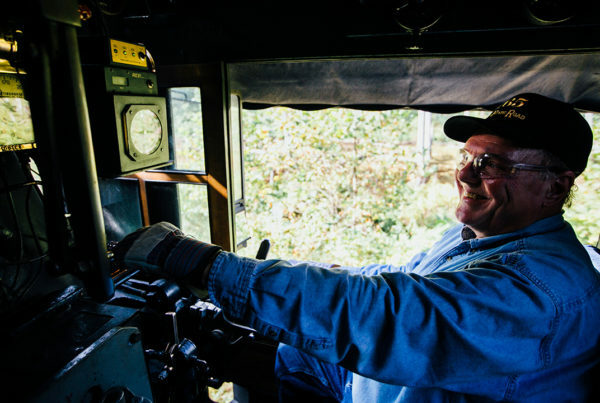 “I think the Santa Train proves that with our limited resources, our limited track and our limited accessibility in New Haven, we’re still able to put 3,000 people on a train in 16 hours,” he says. “There’s a tourist railroad in Connersville, Indiana, and they’re about to do 10,000 people in the next couple of days. With a few more passenger cars, a little longer route and a better location, we could easily do twice as much or three times as much as that,” he says.